CASINO RIEGLER in Sinaia - unforgettable - Casino Inside - The gambling industry magazine! This summer I had the privilege to return to this museum of neo-Romanian architecture, in the city of Sinaia. Even though the city has gone through the inherent transformations of modernity, it has retained the same charm that has conquered me ever since the last century, when I visited it for the first time during a school trip. I don’t know if you remember that a few years ago we started, in the pages of our magazine, a series dedicated to the old Romanian casinos in which I told about Casino Constanţa, Casino Sinaia, Casino Vatra Dornei, Casino Herculane, Casino Govora, Casino Victoria and Casino Mamaia. All these stories fascinated me and transposed me into their era, as I pictured myself among the people of that time and wondered what made them happy and how enjoyed life. I think that going to a casino at that time was an absolutely normal thing that brought with it the freedom to socialize, to laugh, to exchange glances with the ladies who elegantly paraded their dresses in the alleys of the park or to learn new things about the life of the city. That is exactly how the story of the Riegler Casino in Sinaia appeared to me: a gateway to the society of that time, a window to their world. I don’t think of them as old, finished, outdated, but rather as a lifestyle example. I wouldn’t mind being there, with them, at the table. Perhaps I would be amused, at first, by the way they talk or by their music, but the spirit of that age would surely conquer me. The Central Park of Sinaia is the heart of the city and the place where you can meet the city’s history. In the first half of the 20th century, during the summer, on the terrace of Riegler Casino, the orchestra conducted by Eduard Wilhelm Strauss, brother of the great Johann Strauss II and Josef Strauss played for the audience in the park. This was where the “hits” of the time were heard for the first time. People came in great numbers to Casino Riegler to play cards or roulette, listen to music or dance. Players were in the front line and behind them stood the kibitzers. The ladies happily swirled their textile umbrellas, and the young ladies exchanged glances with the young men. The building was located on the current location of Palace Hotel, and was one of the most beautiful buildings in the city. In 1911 a devastating fire destroyed this special place along with the building next to the casino, the Sinaia Hotel – a symbol of the city at the time. Until this year, I was not aware of the existence of Riegler Casino… Everyone knows of the Sinaia Casino, which at this moment is being renovated and looking very good. I would like to point out that 2 years after the fire at the Riegler Casino, the Ephors of Civil Hospitals founded the “Sinaia” Company with the purpose of building a luxury hotel, a gym and a new casino. The construction was carried out according to the plans of the architect Petre Antonescu and was completed in 1913 and placed on the site of the former Ghica Villa. Interestingly, the first shareholder of the Sinaia Casino was the Baron of Marcay, who at that time was also a shareholder of the Monte Carlo Casino, which was used as an architectural model for the Sinaia Casino. It is said that the great George Enescu participated in the inauguration of the casino and performed in a live concert. And because I want to give you the full picture of the area, I invite you to finish our little lesson on gambling history with two other special locations that have remained in the heart of the city’s inhabitants: Regal Hotel and Palace Hotel. The Regal Hotel, also known as the “New Sinaia Hotel” was completed in 1880, and Eduard Krichner (one of the people who owned it throughout history) changed its name in 1886 to Regal Hotel. 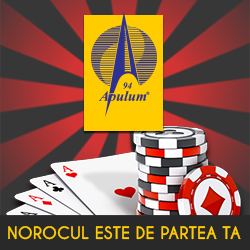 The construction was initially oriented towards the Bucharest-Predeal national road that was right in front of it. With the park being built, the road was moved to its current route, and the hotel became part of the park. During the interwar period the hotel was used as a shelter for Greek refugees and later arranged as a spa treatment base. Today it is the oldest hotel in the city. Now the Palace Hotel is renovated and particularly enriches the beauty of the place. I hope you enjoyed reading this insight into the history of our domain as much as I enjoyed writing these lines to you. What I saw in Sinaia made me happy and I sincerely hope that the other mayors who manage this kind of historical jewels can save them, protect them and bring them into the tourist and social circuit. The world loves history, stop tearing it down!